The nominees are in and your favorite artists from your favorite label have made the ballot! Tech N9ne and ¡MURSDAY! 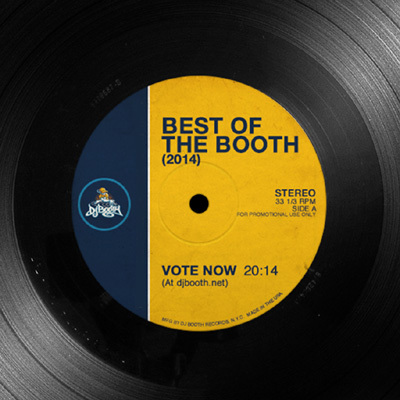 have the shared honor of being nominees for this year’s Best Of The Booth Awards from our friends at DJBooth.net. Every year DJBooth puts together the nominees for “the best and most notable music of the year.” Props to DJBooth because unlike The Grammys, they actually have their ear to independent hip hop. Tech N9ne and ¡MAYDAY! x MURS both earned nominations for Best Hip-Hop Song – Indie for “Fragile” and “Here” respectively, while ¡MAYDAY! x MURS done messed around and also earned a nomination for Best Hip-Hop Album – Indie with ¡MURSDAY!. A respected underground veteran (MURS) links up with the most successful indie label in the game (Strange Music) and one of hip-hop’s most talented live ensembles (¡MAYDAY!). The result is a colorful and wild, yet well-constructed album that makes for one hell of a listen. Rittz also earned (somewhat of) a nominee by being on RyattFienix’s song “Suicide”, which was nominated for Best R&B/Pop Song – Indie. What do you think of the nominees in each category?